NAPS was founded in 2016 in Australia by Katie Acheson and Gemma Wood. NAPS is based on the founders’ mutual aim to see better collaboration between policy, program work and data. Gemma and Katie place high value on advocating for those without a voice being clearly heard or acknowledged by decision makers and seek to amplify the lived experience of the world’s more vulnerable people. Having worked on multiple projects together, including children and young people’s policy frameworks and the Australian Youth Development Index, they realised that their collective skills would make for a strong combination in helping others to build their capacity and build cohesive, practical and impactful policy. NAPS utilises the strengths of external expertise to ensure culturally appropriate best practice and enjoys fostering strong stakeholder relationships. With a deep understanding of financial and human resource constraints in many development areas NAPS strives to provide affordable and efficient advice that advocates for human rights and increased opportunity worldwide. As a Statistician and Community Development Researcher with over 18 years of experience in research and consulting roles in the private, public and NGO sectors Gemma has maintained a focus on increased equity and opportunity, for all social groups, but particularly marginalised and vulnerable people. She has partnered with the United Nations Population Fund (UNFPA) to prepare a framework for the National and Regional Youth Development Indexes (YDIs) and been a keynote speaker at forums focusing on evidence-based policy through the Commonwealth Secretariat and United Nations Department of Economic and Social Affairs (UNDESA). Through her work she has led stakeholder engagement with disadvantaged groups, youth, youth organisations, government and NGOs. These consultations have been to developed a broader understanding of cohort specific issues in the regions as well as finding out what data is currently available or may be available in the future to measure development. Reports have been written to include both statistical information and highlight topics of concern. They have been prepared for lay people as well for use by technical experts to design and implement policies relevant and evidence based for youth in the region and for data experts to set strategic goals in data collection and disaggregation for publishing. Following on from this work she was invited to be a part of a six person panel at the UN headquarters in New York on the 2 February 2017 to speak on “Promoting Integrated Policies for Poverty Eradication: Youth Development in the 2030 Agenda”. Gemma’s tertiary studies include Bachelor of Science (University of Canberra) — graduated with the Australian Statistical Society prize for Statistics, Graduate Certificate in Community Development (Southern Cross University), Graduate Diploma in Strategic Leadership (Skills Certifies Australia) and Business III Certificate (Canberra Institute of Technology). Katie Acheson is an expert in Social Development and a community engagement specialist with over 2 decades experience in the community sector, various levels of government and globally with international development organisations. Much of her work has involved designing and implementing interventions to engage, empower and create collaborative communities. She has extensive experience in social development and community engagement, including designing and implementing interventions to engage, empower and create collaborative communities. Katie is a leading youth advocate in Australia and was voted second in the Impact 25 list of most influential people in the not-for- profit sector in Australia in 2015. Katie has developed a broad understanding of the issues facing vulnerable communities, and the social benefits that flow from empowering them. Her experiences extend from local service coordination, managing a youth refuge, to the international stage, which include a role on the Youth Development Index 2016 Advisory Panel for the Commonwealth Secretariat. Katie also has experience in community engagement across Africa, Australia and United States. Katie holds degrees in International Development: Social Policy and Social Development (MA Manchester University), Community Services Management (Grad Dip CED), and Social Work (BSW RMIT). Isabel Kakuk is a senior project manager and consultant currently based in Canada. Isabel holds a Bachelor of Science (Hons) and a Master of Public Health. Prior to joining NAPS, Isabel worked extensively with government departments and public agencies in Canada and Australia leading evidence-based policy and program design for community services. Isabel has been a part of several large-scale reform projects in child protective services and homelessness services and is passionate about driving system-level change with a focus on building equity and anti-oppressive practice. Isabel has extensive project management experience and is a PRINCE2 registered practitioner and holds a Project Management Professional (PMP)from the Project Management Institute (PMI). Her strengths include strategic analysis, compliance and reporting alongside research design and evaluation and monitoring. Kiran Sonia is working as a senior data analyst in Australia. Kiran has extensive experience in software development, database management and data analysis. She has worked and designed several applications and database systems in her work with government in Pakistan and Australia as well as the private sector. In her current role her focus is working on self-service analytics, key performance indicators, dashboard reports and analysing big data sets. She has also contributed towards standardised data for housing, homelessness and disability. Kiran holds a Bachelor in Computer Science (Hons) (Gold Medallist) and M Phil in Information Technology from NUST School of Electrical Engineering and Computer Science Pakistan where her thesis was on Transforming Database Relations to Source Ontology in Scalable Data Integration. She has four international publications on database management and has presented her work in various conferences. Her strengths include database development (conceptual, logical and physical), data modelling (ERWIN and Enterprise Architect), programming skills across range of databases and programming languages. She also has demonstrated experience in designing and developing dashboard reports for Executives and Senior Management in SQL Server Reporting Services (SSRS), Oracle Reports, Report Builder, Crystal Reports, MS PowerBI and PowerQuery. Robert Okello is a statistician based in Uganda. With passion for positive change and development, Robert is an advocate for youth development agenda, Equal opportunities and youth inclusion in socio-economic governance in Uganda. He has participated and organised many advocacy youth conferences both in and out of Uganda with different youth organisations including Uganda youth Network, Common wealth Youth Council, African Union Youth, United Nation Forum for Youth, Uganda Parliamentary youth Association and Youth Ministry. Currently pursuing a Diploma in Law at Law Development Centre Uganda, Robert holds a Degree in Business Statistics (Makerere University). He is the current deputy chair of African Youth Movement Hub Uganda; A Pan African youth led-organisation that brings together youth from different African countries and the Diaspora to share ideas and develop solutions to tackle problems facing African youth. He volunteers his time as a Strategic advisor on Youth Affairs to the leader of Opposition- Parliament of Uganda. Tani Shaw has worked in two fields throughout her career, firstly in large scale management information systems, measurement, reporting and statistical frameworks and the second is in working in community development, consultation and policy development. 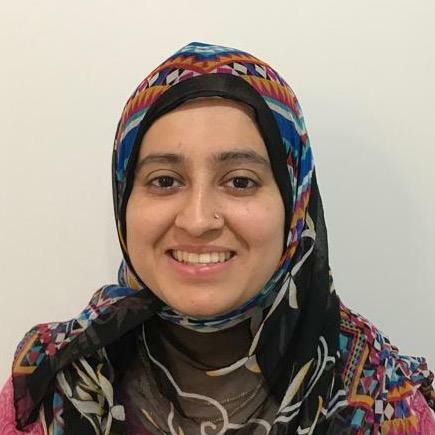 Tani is a PhD Scholar at the University of Technology Sydney undertaking a thesis looking at opportunities and barriers to adoption of measurement frameworks by policy makers, through the study of an international OECD project. An author on measurement frameworks, Tani has followed the growing interest in measurement frameworks as a tool for policy makers to build a robust picture of the state of society for use in planning as well as measuring and monitoring outcomes. Tani works as an international consultant with NAPS informing the work of NAPS through reviews of international literature and input into projects. Tani was facilitator of the OECD Global Progress Research Network for four years and was awarded the Sustainable Economy Scholarship with the Centre for Policy Development. She holds a Masters of Environmental Management from the University of New South Wales. Prior to working with NAPS Tani worked as advisor and senior consultant in risk and compliance management systems for government and private sector in Asia Pacific and lived and worked in Palo Alto, California, for SAP America working with clients globally on large scale management information systems and reporting.